If you don’t already know, we’re big fans of direct mail. In this particular instance, they had a customer database stretching back almost a decade. 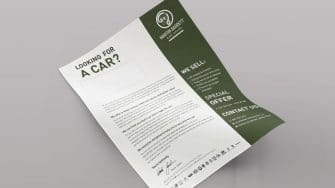 It served as a good starting point for a direct mail letter to every person who bought a car (or availed of a service) from Martin Barrett during that period. 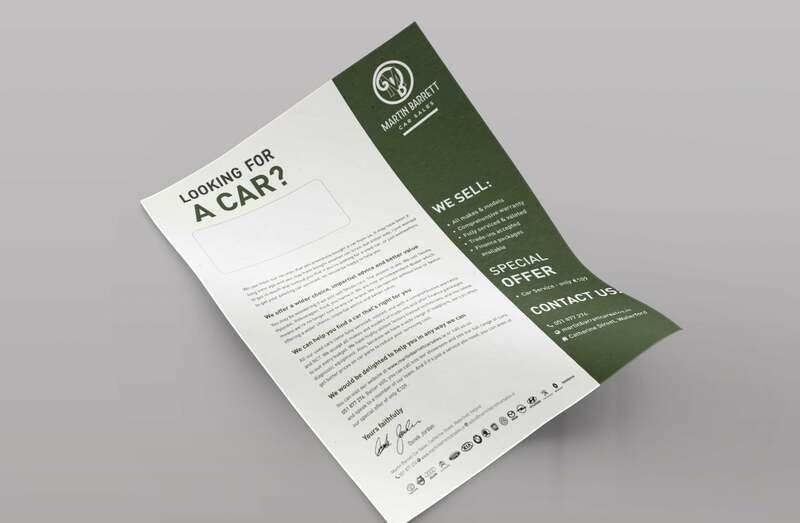 With input from the client, we wrote and designed the letter that went out to everyone on the database, reminding recipients of the great service and value to be had with Martin Barrett. The letter was a great success, and brought in a lot of new enquiries.